We train fresh talent and nuture them to be SUPER SPECIALITY PROFESSIONALS. To be India's preferred Skilling and Training organisation creating sustained livelihood opportunities for millions of people. Blended Finishing School is successfully executing a number of skill development projects of the Central and State Governments. with us| Know Yourself! What is Your Goal? What Do you wish to Become? to how to computer operate and how to computer work and how to working with computer. Blended Finishing School is leading computer classes in KATARGAM, Surat city. guidance and how to make carrier in IT Filed. How to get reputed job in IT Filed. In today's competitive world, young graduates are facing a variety of challenges and handling multifaceted responsibilities throughout their professional lives Their accomplishments are often evaluated on the basis of communication skills and group interaction in addition to their technical and functional capabilities. Industry is constantly in search of such dynamic graduates having all round capabilities to play a vital role in its growth. The number of graduating Engineers/MCAs/MBA from various institutions have more than doubled in last few years However these students are found lacking in the shill sets demanded by the industry. The current education framework does not offer sufficient exposure to the real world environment resulting in low employment of fresh Engineering/Management graduates in-spite of adequate opportunities To improve the existing scenario Engineering/Management graduates apart from their intellectual development technical & functional capabilities must be equipped with thorough understanding of the social economic environmental political and international context of their professional activities. What is needed is to impart an additional training to the graduating students through a well- planned cur alum consisting of the right mix of skills it s necessary to instate programs having an integrated approach of imparting management & leaden hip skills communication skills ability to work in teams knowledge of current industrial practices market intelligence and innovation. We are living in a society where we have only few seconds to make a lasting impression. Business Etiquette, Conduct and professional grooming apart from technology and domain skills are increasingly playing a pivotal role to open the right doors for you. Blended Finishing School is designed to shape and polish individuals and empower them for the challenges of the real world. We at Blended Finishing School understand the requirements of the industry and well equipped to give direction to your dreams. We aim to bring to you a comprehensive program with a holistic approach that will work as a launch pad for your career. Blended Finishing School is Gujarat’s first complete finishing school that promises a one of its kind experience in a committed Indian atmosphere. It brings on campus a program consists of in demand technical and functional skills, professional grooming, life skills, Industry engagement and exposure, domain expertise, management & leadership skills, flexibility, innovative thinking and problem solving skills. 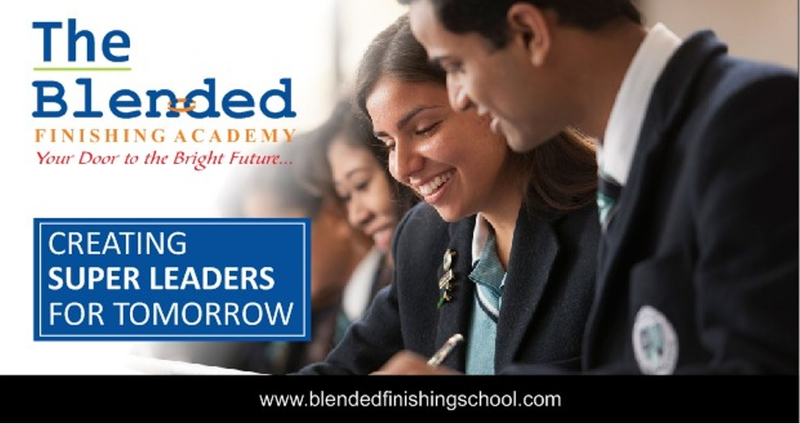 We at the Blended Finishing School have a strong motive that drivers us to nurture excellence in people who want to learn and transform them into exceptional leaders who will in their span take the booming industry and its citizends to even greater heights. Blended Finishing School is a recognized it training institute in surat offering trainings which is a productive aspect that guarantees students to get a career way towards success.